I received a box of goodies to facilitate this post. My boys love Welch's Fruit Snacks and love when Santa leaves them in their Christmas stockings. So when a box of goodies arrived at our house the other day, all three boys were happy to see what was inside. 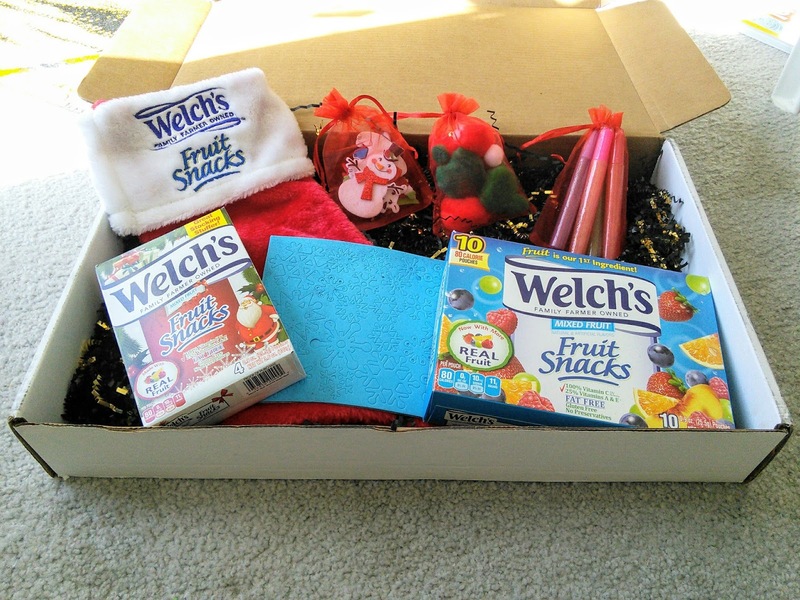 Inside the box was a Christmas stocking, craft supplies, and plenty of Fruit Snacks. The teen could not wait to eat the fruit snacks. The younger two boys were excited to be able to create something with the craft supplies. The youngest boy had been bugging me for a new stocking everytime we went shopping so he asked if he could have the Christmas stocking. I told him, yes but he had to decorate it first, My son was happy that he got to decorate his new stocking. My son got busy sticking all the stickers on the stocking. Then he discovered the glitter glue pens and his stocking soon sparkled. While the younger son was going crazy with the glitter, the older of the two boys started reading the Welch's Fruit Snack boxes. That boy loves to read. He then asked me if fruit snacks are made with fruit. I told him, yes and my son read the ingredients and said: " you are right mom, as fruit is the first ingredient." 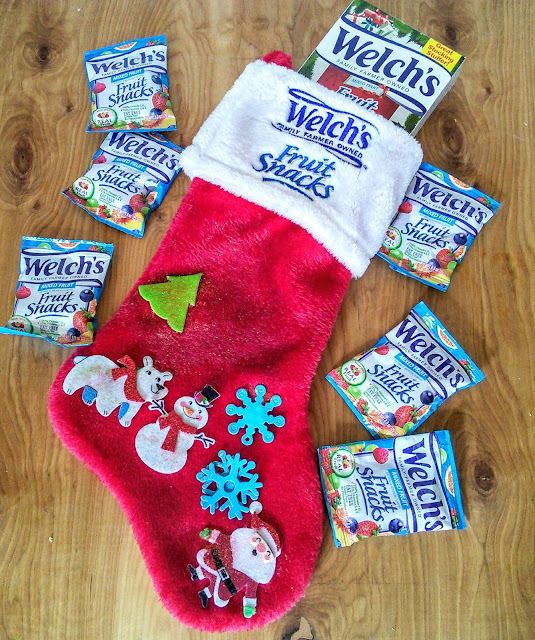 My son continued to read the box and informed me that Welch's Fruit Snacks are gluten-free, fat-free, and have 100% vitamin C. I think my son was anxious to eat one of the packages of fruit snacks and was having a hard time waiting for his brother to finish his decorating of his stocking. I really like the 4-count Christmas-themed boxes that fit perfectly into Christmas stockings. I think I just might have to look for these cute Welch's Fruit Snack boxes at the grocery store so I can sneak some under the Christmas tree this year. Use to love this game! Its crazy how ALL my hard work went down the drain. The newest update made all my hard work go down the drain. How the hell my cards even with people that just started playing?! Too much time and money was invested into this game for that BS.